Cook salmon on low heat over the stove until fully cooked. In a separate sauce pan, cook minced garlic until golden brown. Add in butter and Lemon a Vitality Drops. Mix well. Pour over salmon. Enjoy! Chop equal parts tomato, onion, and cilantro. Mash avocado in bowl. Add in tomato, cilantro, and onion. Dash in salt and pepper to taste. 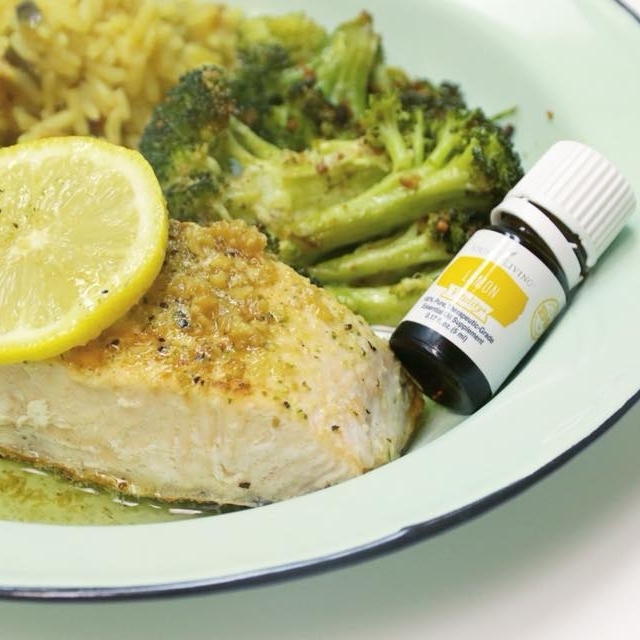 Drop in Lime Vitality Essential Oil to taste (start with just one drop). Mix well. Enjoy! Add in all shots to champagne glass. Drop in Slique Essence, stir well. Enjoy, and drink responsibly! Brown the ground beef. Dice onion. Open all cans, seasonings, and beef broth and add them into the instant pot. Add in ground beef and diced onion, and stir well. Close the lid of the instant pot and click “stew,” cooking the meal for 35 minutes until it’s done. Serve soup in bowl, sprinkling some shredded Mexican cheese on top. Enjoy! Brew one cup of organic coffee. Add in desired amounts of organic creamer or milk. Stir in packets of organic stevia. 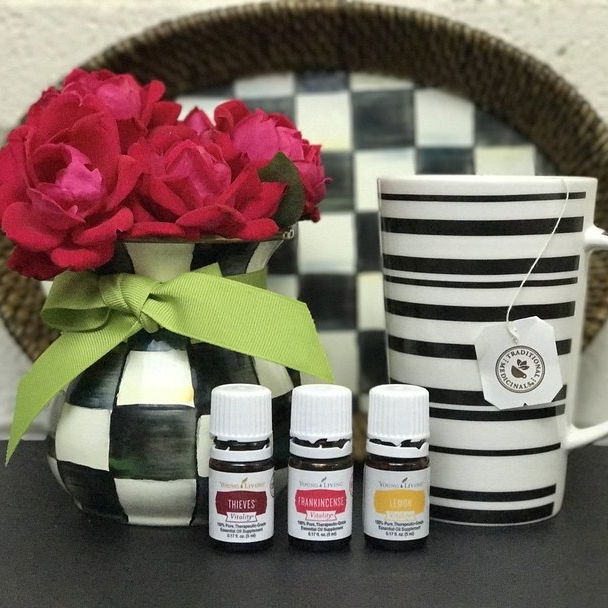 Add one drop of Cinnamon Bark Vitality. 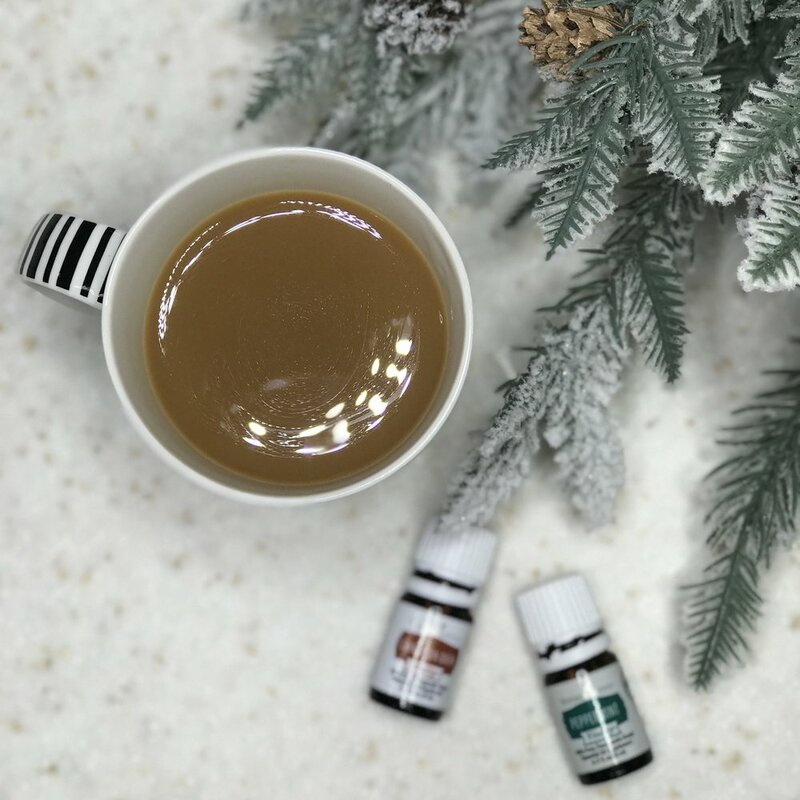 Put a drop of Peppermint Vitality on a toothpick and swirl the toothpick around in the coffee (do this 3 times). 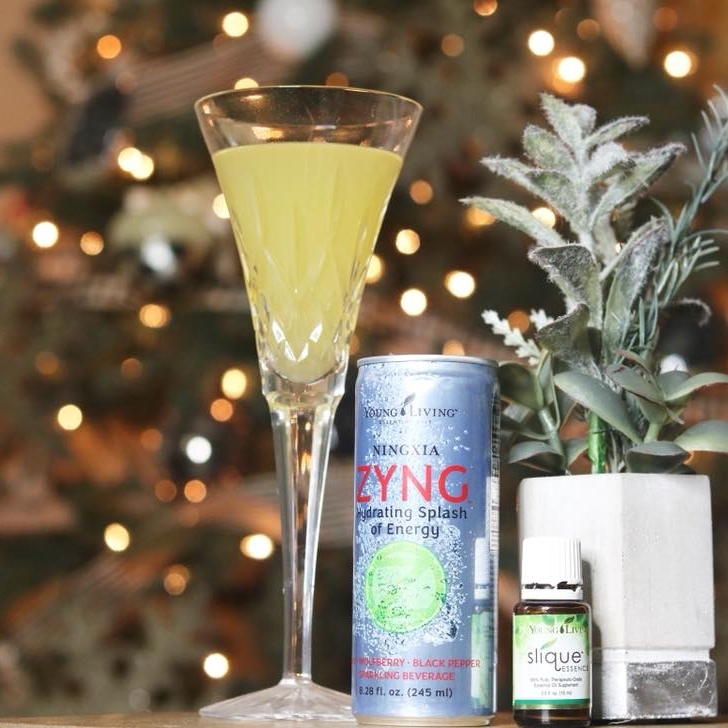 Stir, sip, and enjoy! Bake chicken breast on low heat until fully cooked. In separate container, shred chicken with mixer. Fry bacon slices and dice when cooked. Dice tomatoes, green onions, purple onion, avocados. Drain can of corn and heat up on stovetop. Add in chicken, tomatoes, corn, bacon, green onion, purple onion in separate serving bowl, mix well. In small container, mix olive oil, salt, pepper, and essential oils to create dressing. Pour dressing over dish and enjoy! Pour sugar into glass jar. Drop in designated amounts of Lavender and Lemon essential oils. Add in vanilla extract, coconut oil, and water. Mix well. Apply in small amounts to desired areas of the skin for exfoliating. Add yogurt into a small empty bowl. Mix in one scoop of YL Pure Protein Complete (Chocolate). Stir in honey to taste. Top with strawberries and blueberries. Add baking soda into glass jar, drop in essential oils. Stir, close lid and shake well. Sprinkle over carpet, let it sit for 10-15 minutes. Vacuum. Add hot water to coffee cup. Steep YL Slique Tea bag for one minute. Add apple cider vinegar, essential oils, and preferred sweetener. Stir well. Enjoy! Add water, baking soda, and vinegar to jar. Mix well. Drop in designated amounts of YL Lemon and Thieves essential oils. Blend well and mix thoroughly. Apply small amount to wet or damp sponge or scrubber. To contact Healthier Hannah or to view more recipes, find her on social media. Links are at the bottom of the page. Some of these recipes are also on the YouTube channel of Joni Jaeger-Reed.